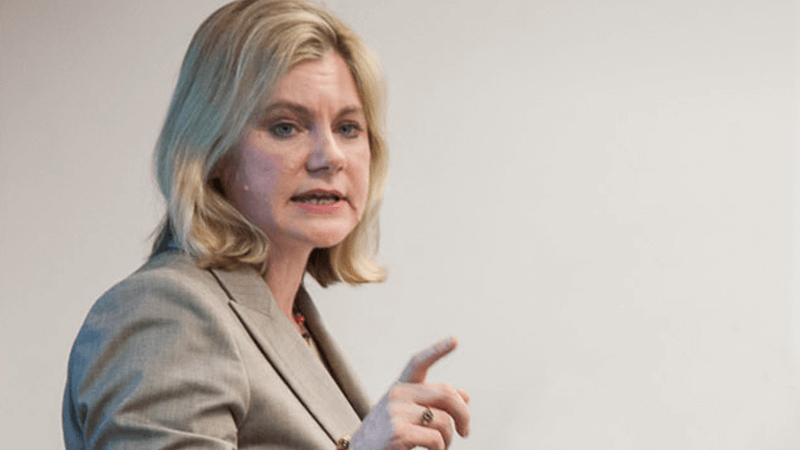 Justine Greening is Secretary of State for Education and Minister for Women and Equalities. The Westminster Government has undermined protections for the most vulnerable in society by agreeing to pay for abortions from Northern Ireland, The Christian Institute has warned. The Institute spoke out as the London-based Equalities Office said it would fund abortions for Northern Irish women who go to England. The announcement came on the same day that Belfast’s Court of Appeal backed the Province’s right to decide its own abortion law. Appeal Court judges said any change in the law should be made by elected politicians in Stormont – not the courts. A few hours later in Westminster, Conservative equality minister Justine Greening pledged to pay for abortions for women who travel from Northern Ireland to England. She made the announcement after Labour MP Stella Creasy put forward an amendment on the issue. Currently in Northern Ireland, abortion remains illegal except to preserve the life of the mother. In 2016, Stormont rejected legislation to weaken Northern Ireland’s current abortion law, and a previous consultation on the issue found overwhelming support for maintaining the current legal stance. The Christian Institute’s Head of Communications, Ciarán Kelly, said: “The Equalities Office clearly doesn’t believe in equal treatment for unborn children. “The UK Government is seeking to blatantly undermine Northern Ireland’s legal protection for the unborn. London-based politicians have no right to defy Northern Ireland’s elected representatives, who continue to reject the liberal abortion agenda. The Minister continued, “we will ensure these payments will be funded through the Government Equalities Office with additional funding”. But she insisted that the change “does not change” the position that abortion is a devolved issue in Northern Ireland. In the Appeal Court case, the judges took different approaches in their ruling, but they all agreed that “the court should not intervene and that it is a matter for the Assembly to decide”. Lord Justice Gillen said abortion is a “highly controversial issue touching on social, moral and religious policies” which requires the consideration of elected officials. “The imposition of personal opinions of professional judges in matters of this kind lacks constitutional legitimacy”, he added. Pro-life groups welcomed the Court’s announcement.